From exclusive travel deals, to UNISON’s very own holiday home in beautiful Devon, when it’s time for your holiday, UNISON Living will make sure you get much more for your money. 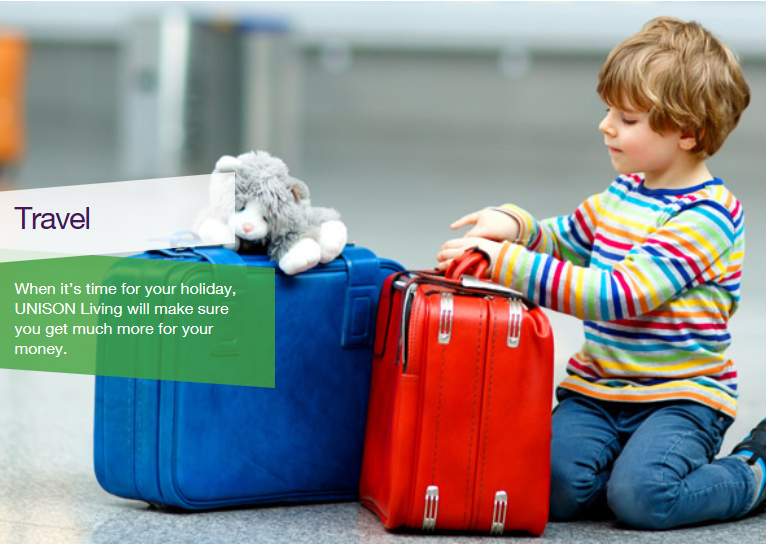 Travel Insurance – Great value, excellent customer service – travel insurance you and your family can rely on. Croyde Bay Holiday Resort – UNISON’s Croyde Bay Resort, Devon, offers 15% off holidays for UNISON members for hotel, self catering and summer b&b accommodation. UNISON Travel Club – Offering UNISON members access to a whole world of exclusive holiday deals and cruises to suit every taste and budget.